The Songbird and the Sharpshooter, n.d.
New York City – An exhibition of contemporary photographs using 19th-century photographic techniques and processes – daguerreotypes, photogenic drawings, calotypes, ambrotypes, tintypes, and camera obscuras – will be on view at Howard Greenberg Gallery from September 15 – October 29, 2016. The exhibition, “A New and Mysterious Art”: Ancient Photographic Methods in Contemporary Art presents recent work by Takashi Arai, Stephen Berkman, Dan Estabrook, Adam Fuss, Luther Gerlach, Vera Lutter, Sally Mann, Matthias Olmeta, France Scully Osterman & Mark Osterman, and Craig Tuffin. Many of these works have never been exhibited before. 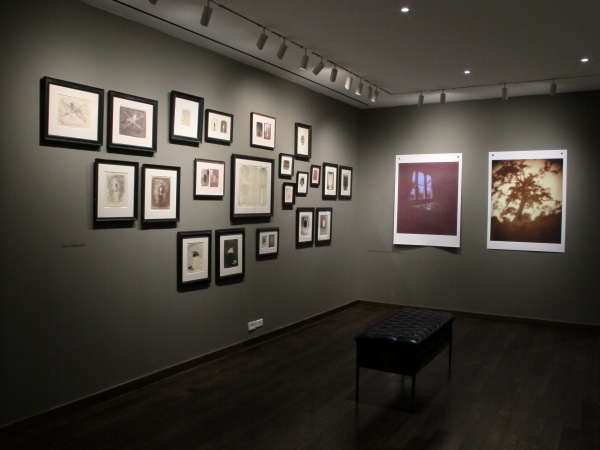 The show is curated by photographer Jerry Spagnoli, a leader in the revitalization of the daguerreotype process. An opening reception will be held on Wednesday, September 14, from 6 – 8 p.m.
A related event, the annual 19th-Century Photography Conference and Show presented by the Daguerreian Society, will be held in New York from October 19—23, 2016, at the Wyndham New Yorker Hotel. More information is available at www.daguerre.org. Takashi Arai is a daguerreotypist/visual artist based in Kawasaki, Japan. He first encountered photography while he was a university student in biology. In an effort to trace photography to its origins, he encountered the medium of daguerreotypes, and after much trial and error mastered the complex technique. Arai does not see the daguerreotype as a nostalgic reproduction of a classical method; instead, he has made it his own personal medium, finding it a reliable device for storing memory that is far better for recording and transmitting interactions with his subjects than modern photography. Arai’s work has appeared in numerous exhibitions, at the Museum of Fine Arts, Boston; the Mori Art Museum and National Museum of Modern Art in Tokyo, among other international venues. In 2016, he received the 41st Kimura Ihei Award for his first monograph MONUMENTS (PGI, 2015). Arai is also the winner of Source-Cord Prize, UK (2014), and Photographic Society of Japan Awards: Newcomer's Award (2016). His works are held in the collections of the San Francisco Museum of Modern Art, Tokyo Metropolitan Museum of Photography, and Musée Guimet, Paris, among others. Dan Estabrook was born and raised in Boston, where he studied art at city schools and the Museum of Fine Arts. As an undergraduate at Harvard, he began studying alternative photographic processes with Christopher James. In 1993, after receiving an MFA from the University of Illinois, Urbana-Champaign, he continued working and teaching in Illinois, Boston, and Florida, eventually settling in Brooklyn. 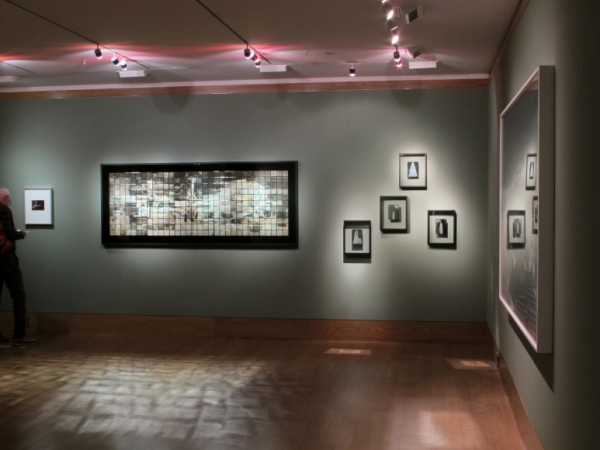 Estabrook has continued to make contemporary art using the photographic techniques and processes of the 19th century. He has exhibited widely and has received several awards, including an artist's fellowship from the National Endowment of the Arts in 1994. In 2008, a documentary on Estabrook and his work was produced for Anthropy Arts' Photographers Series. Stephen Berkman’s work revolves around the use of antiquated photographic and optical processes. Since 1987, he had utilized the wet collodion process, exploiting the archaic quality of the medium to re-imagine the 19th century and create displacements between notions of the past and the present. Berkman’s work has been featured in the definitive compendium on the revival of historic photography: Photography’s Antiquarian Avant-Garde (Abrams) as well as in magazines including Blind Spot, Art in America, and i-D, magazines, among others. His photographs have been included in a number of solo and group exhibitions, and are in the permanent collections of the Museum of Photographic Art, San Diego, and the Portland Art Museum. In addition to his fine art work, Berkman has created historic photographs for many films and documentaries. On the film faculty at the Art Center College of Design in Pasadena, where has taught since 1995. Adam Fuss was born in London in 1961 and grew up in rural England, where he first began to document the natural environment through photography. This led to an experimentation with unconventional photographic processes and his eventual abandonment of the camera altogether. 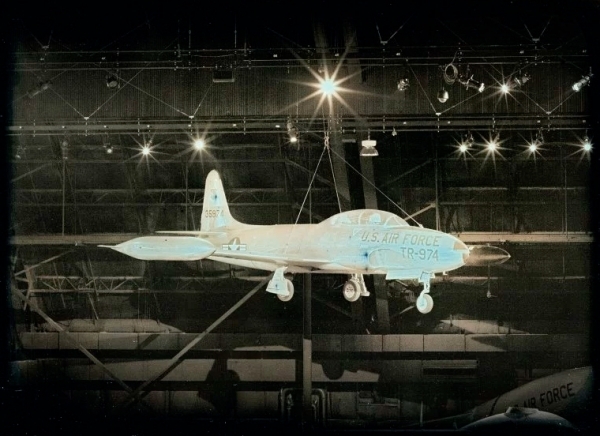 Fuss’s work is distinctive for its contemporary re-interpretation of photography’s earliest techniques, particularly the camera-less methods of the daguerreotype and photogram. Best known for life size photograms of subjects in water, Fuss’s evocative imagery is imbued by the spiritual and poetic. His deliberate distillation of the essence of photography – a flash of light on a sensitized surface – emphasizes themes of transformation and perception. Fuss has lived and worked in New York City since 1982. Widely shown, his work is represented in many American and international collections, including the Metropolitan Museum of Art, the Museum of Modern Art, and the Whitney Museum of American Art, New York; the Los Angeles County Museum of Art; and Victoria and Albert Museum, London. 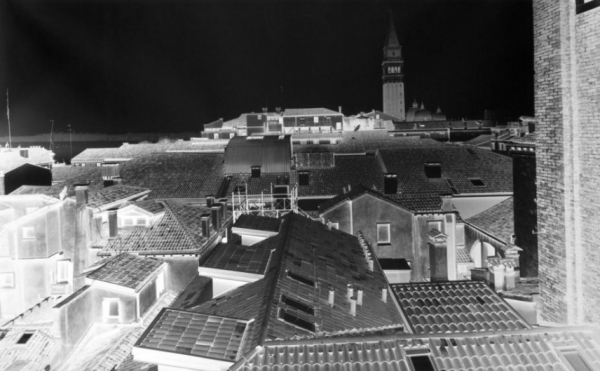 Luther Gerlach is an artist working in historical photographic processes. For the past 30 years, he has been involved in many aspects of the art form, including lecturing and demonstrating at museums such as the J. Paul Getty Museum, universities including UCLA, and at private and group workshops he has led across the United States and Europe. As an expert in historical processes, he has contributed to the J. Paul Getty Museum’s encyclopedia of photographic processes. Gerlach’s work is exhibited internationally and included in major private and museum collections, including the private collection of Michelle Obama and the Los Angeles County Museum of Art’s permanent collection. Vera Lutter was born in 1960 in Kaiserslautern, Germany. She graduated in 1991 from the Academy of Fine Arts, Munich, and received her MFA in 1995 from the School of Visual Arts, New York. 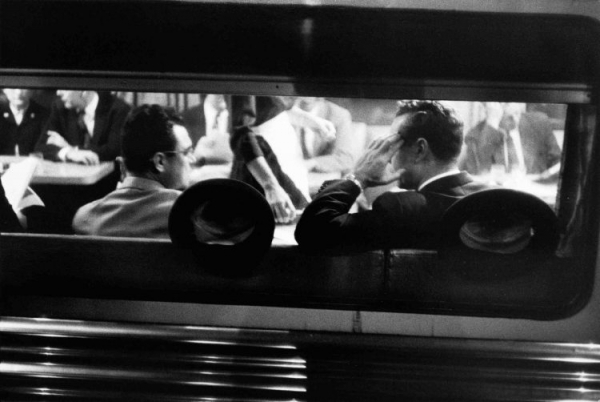 Inspired by New York’s presence, light, and architecture, Lutter began experimenting with photography. In order to capture an immediate and direct imprint of her experience, she turned the room in which she lived into a large pinhole camera—transforming the space that contained her personal experience into the apparatus that would capture an image of it. Her work has been recognized in periodicals including Artforum, ARTnews, Art in America, BOMB, and The New York Times; as well as books including 100 Contemporary Artists (Taschen), The Photograph as Contemporary Art (Thames & Hudson), and Vitamin Ph: New Perspectives in Photography (Phaidon). Lutter’s photographs are in the permanent collections of the Metropolitan Museum of Art, the Museum of Modern Art, the Whitney Museum of American Art, and Neue Galerie in New York; Museum of Fine Arts, Houston; and San Francisco Museum of Modern Art, among others. Lutter had the honor of receiving the Deutscher Akademischer Austausch Dienst (DAAD) Grant in 1993, the John Simon Guggenheim Memorial Foundation Fellowship in 2001, and the Pollock–Krasner Foundation Grant in 2002. Lutter currently lives and works in New York City. Sally Mann’s rich and varied career as a photographer has focused on architecture, landscape and still life, but she is known above all for her intimate portraits of her family, and in particular her young children. Born in 1951, Mann has always remained close to her roots, and she has photographed the American South for many years, producing major series including What Remains (Bullfinch Press, 2003) and Deep South (Bullfinch Press, 2005) Mann lives and works in Lexington, Virginia. 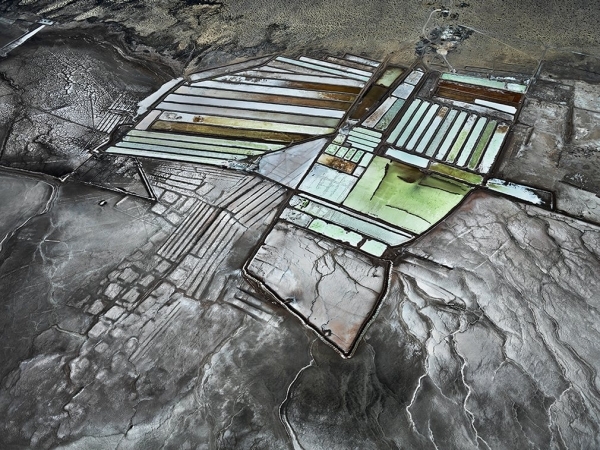 A Guggenheim fellow, and a three-times recipient of the National Endowment for the Arts fellowship, Mann was named “America’s Best Photographer” by Time magazine in 2001. She has been the subject of two documentaries Blood Ties (1994), which was nominated for an Academy Award, and What Remains (2007). Her best-selling and critically acclaimed memoir Hold Still (Little, Brown, 2015) won the Andrew Carnegie Medal for Excellence in Nonfiction and was named a finalist for the National Book Award. She has been the subject of major exhibitions at the Institute of Contemporary Art, Philadelphia, and the Corcoran Gallery of Art, Washington, D.C. Her photographs can be found in many public and private collections, including the Metropolitan Museum of Art, the Museum of Modern Art, and the Whitney Museum of American Art, New York. Matthias Olmeta’s motto is “Perfection is the enemy of beauty.“ He was born in Marseille in 1968. At the age of 16, he discovered his love for cameras; two years later, he moved to Los Angeles to study Visual Arts at the Santa Monica City College. As Olmeta had to apply for a visa regularly, he traveled extensively at that time – a passion that has influenced his work to this day. From prostitutes in Athens to patients of a psychiatric clinic in Havana, Olmeta always puts the human being into the center of his imagery. Olmeta is not an enthusiastic advocate of the digital era – on the contrary. He prefers to use ambrotype, a technique that was developed around 1850. His work is in museum and private collections in Canada, England, and France. 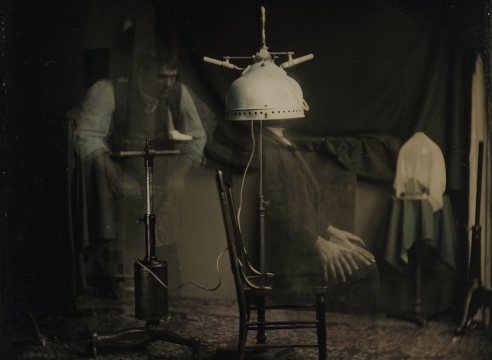 Mark Osterman is a photographic process historian for George Eastman Museum in Rochester, New York, where he teaches workshops in early photographic processes. Along with his wife, France Scully Osterman, he co-published and edited The Collodion Journal from 1995-2002 and was writer and editor of the pre-1900 section of the New Focal Encyclopedia of Photography. Osterman is widely recognized as the foremost expert in historic processes, and has been an important influence in the current revival of collodion in fine art photography. 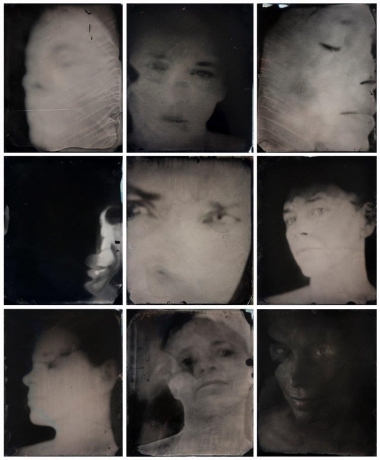 France Scully Osterman is an artist, writer, teacher and guest scholar at George Eastman Museum. She is recognized for her extensive knowledge of early photographic processes including wet and dry-plate collodion, photogenic drawing, cyanotype, albumen, and salt print methods. She teaches and gives talks at international and U.S. universities, museums, and art schools and in the Scully & Osterman skylight studio in Rochester. The Ostermans' work has been featured in Photography's Antiquarian Avant-Garde, The New Wave in Old Process Photography by Lyle Rexer (2002), Coming into Focus by John Barnier (2000), The Book of Alternative Photographic Processes by Christopher James (2002), Le Vocabulaire Technique de la Photographie by Anne Cartier-Bresson (2008), and the third edition of Photographic Possibilities by Robert Hirsch (2008). Their work can be found in the collections of the Museum of Fine Art, Houston; George Eastman Museum; Harry Ransom Center at the University of Texas; The Taubman Museum of Art, Roanoke; Herbert F. Johnson Museum of Art, Cornell University; the Michener Art Museum, Doylestown, PA, and numerous private collections. Craig Tuffin was born in Redcliffe, Queensland, in 1969. Working predominantly with 19th century photographic techniques, Tuffin has won numerous awards. With a passion for daguerreotype and wet plate photographic methods, Tuffin’s evocative images at once capture the strength and frailty of the human spirit. His work is in the National Gallery of Australia and many other private and public collections around the world. Bringing Daguerreotype Photography Back in Style. Press for the current galery exhibition.